CTFO is a network marketing company I was not familiar with until just recently. And from everything I have read online, I am VERY impressed with the company. CTFO stands for Changing the Future Outcome. Today, I am going to share a CTFO review. I’ll cover their products, compensation plan, leadership team and good to know information. Disclaimer: At the present moment in time, I am not affiliated with CTFO. This post is for educational purposes only and we are not compensated by the company or affiliates for this post. Stuart Finger has been involved in network marketing for many years. Since he was small, Stuart had a problem with obesity. When he discovered a product that would help him slim down, he decided to start a MLM Company with it. In 2015, Stuart founded CTFO. He rounded up a success team to manage the company. Since its start, CTFO has been growing fast and steady. Stuart and these four folks are running a great network marketing business that is gaining new representatives daily. What I find most interesting is that ALL of these folks are distributors, just like everyone else. They do not receive a salary or corporate pay. Instead, they are compensated for building a team of their own. This is very rare in the network marketing industry. Many network marketers have discovered that postcard marketing is a great way to get leads, customers and recruit into the business. CTFO has designed some excellent postcards and for the cost of 1 stamp, you can begin generating leads and growing your CTFO business. Think about it… While many people are not very responsive to telemarketing calls, everyone at least reviews what they received in their mailbox. And the great designs keep people reading and learning how the CTFO hemp products can help them. This is a simple recruiting strategy that anyone can do. Even grandma can mail postcards. The extraction of CBD hemp oil for the CTFO products is a meticulous process. CTFO sources the supply of hemp from Kentucky farms that work closely with the FDA and Department of Agriculture to ensure safety and that all legal requirements are met. CTFO utilizes a chemical-free CO2 extraction process of pressurized carbon dioxide to extract the purest concentrations of phytochemicals (such as cannabidiol) from the industrial hemp plant. The manufacturing process is completely exempt of any harsh chemical solvents often used to extract CBD oil. This process eliminates the majority of THC which is the ingredient in marijuana that cause the “high” effects. The CO2 extraction method is considered the safest method of all others. CTFO is so confident in their products, they give you 60 full days to return any item for a money back guarantee. You won’t find this long and good of a guarantee with most other CBD Oil companies. And with all the positive testimonies I have witnessed online, I have yet to find where anyone has returned the products. It just makes good sense to try a product that may be able to help your well-being knowing if it doesn’t work, you can get your money returned. 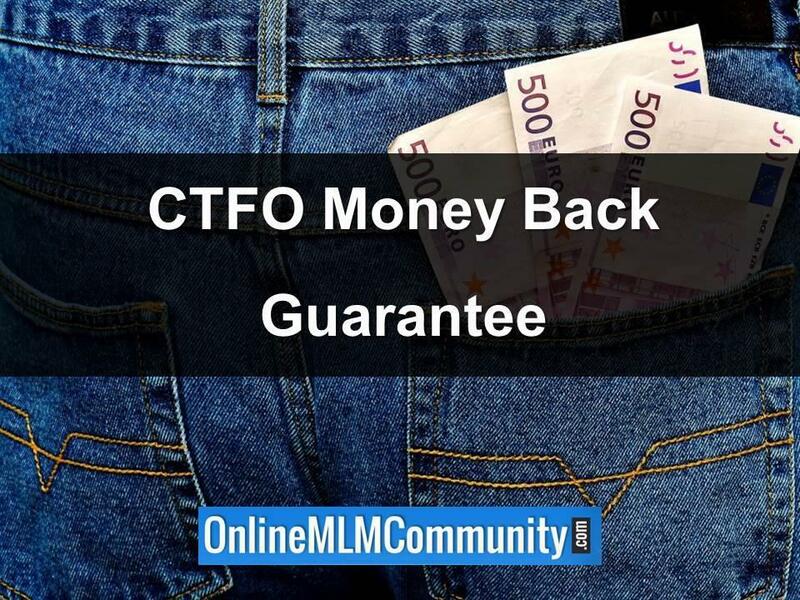 CTFO has one of the most lucrative compensation plans in the MLM industry. It not only works on a Unilevel plan, but also has a 3 x 21 Matrix. There are many ways to make money with CTFO and the higher your rank, the more money you can make. 1. Associate – This is where everyone starts and allows you to make 20% commissions on the CV generated from sales you make. Best of all, you aren’t forced to purchase anything yourself in order to earn these commissions. 2. 1st Level Manager – You gain this rank by personally enrolling 1 qualified retail customer or Associate. You then earn 20% commissions from level 1 of your downline and 25% of qualified matrix commissions in levels 1-7. 4. Senior Manager – Personally enroll 3 qualified customers or Associates to earn: 20% commissions from your level 1 unilevel downline, 4% commissions from levels 2 and 3 of your unilevel downline and 100% of payable matrix commissions within levels 1-7. 5. Executive Manager – Personally enroll 4 qualified customers or Associates and you can get: 20% commissions from your level 1 unilevel downline, 4% commissions from levels 2, 3 and 4 of your unilevel downline and 100% of payable matrix commissions within levels 1-14. 6. Vice President – Personally enroll 5 qualified customers or Associates and maintain at least $25,000 in personal team monthly volume. The rewards are huge: 20% commissions from your level 1 unilevel downline, 4% commissions from levels 2, 3, 4 and 5 of your unilevel downline, 100% of payable matrix commissions within ALL 21 matrix levels and 4% infinity bonus commissions. 7. Senior Vice President – Personally enroll 5 qualified customers or Associates and maintain at least $50,000 in personal team monthly volume. You get: 20% commissions from your level 1 unilevel downline, 4% commissions from levels 2, 3, 4 and 5 of your unilevel downline, 100% of payable matrix commissions within ALL 21 matrix levels and up to 8% infinity bonus commissions. 8. Executive Vice President – Personally enroll 5 qualified customers or Associates and maintain at least $100,000 in personal team monthly volume. The rewards are: 20% commissions from your level 1 unilevel downline, 4% commissions from levels 2, 3, 4 and 5 of your unilevel downline, 100% of payable matrix commissions within ALL 21 matrix levels, and up to 12% infinity bonus commissions. 9. Presidential Director – To qualify you must: become an active and qualified Executive Vice President and maintain 3 other active and qualified Executive Vice Presidents on separate unilevel legs. The rewards are: 20% commissions from your level 1 unilevel downline, 4% commissions from levels 2, 3, 4 and 5 of your unilevel downline, 100% of payable matrix commissions within ALL 21 matrix levels and up to 13.75% infinity bonus commissions. 10. Senior Presidential Director – You must become an active and qualified Presidential Director and maintain 3 other active and qualified Presidential Directors on separate unilevel legs. And you will earn: 20% commissions from your level 1 unilevel downline, 4% commissions from levels 2, 3, 4 and 5 of your unilevel downline, 100% of payable matrix commissions within ALL 21 matrix levels and up to 15.5% infinity bonus commissions. 11. Executive Presidential Director – Become an active and qualified Senior Presidential Director. Also, maintain 3 other active and qualified Senior Presidential Directors on separate unilevel legs. And you will receive 20% commissions from your level 1 unilevel downline, 4% commissions from levels 2, 3, 4 and 5 of your unilevel downline, 100% of payable matrix commissions within ALL 21 matrix levels and up to 19% infinity bonus commissions. 12. Top Gun – The highest level requires you to become an active and qualified Executive Presidential Director and maintain 3 other active and qualified Executive Presidential Directors on separate unilevel legs. The rewards are 20% commissions from your level 1 unilevel downline, 4% commissions from levels 2, 3, 4 and 5 of your unilevel downline, 100% of payable matrix commissions within ALL 21 matrix levels, up to 19% infinity bonus commissions and an equal share of 6% of the total CV generated company wide each month. CBD Oil is a huge trend right now. The relief it provides people suffering from various diseases and conditions is amazing. You may wonder how you will market your CTFO business. There are many strategies, but some top level CTFO rockstars do teach newbies what has worked for them. And by teaching their marketing strategies, it benefits everyone. One such CTFO guru is Allen Bauer who has been with CTFO since prelaunch. I suggest you search him out. CTFO and its company leaders want you to succeed, so they provide lots of training and education. It is simply up to you to follow their system. 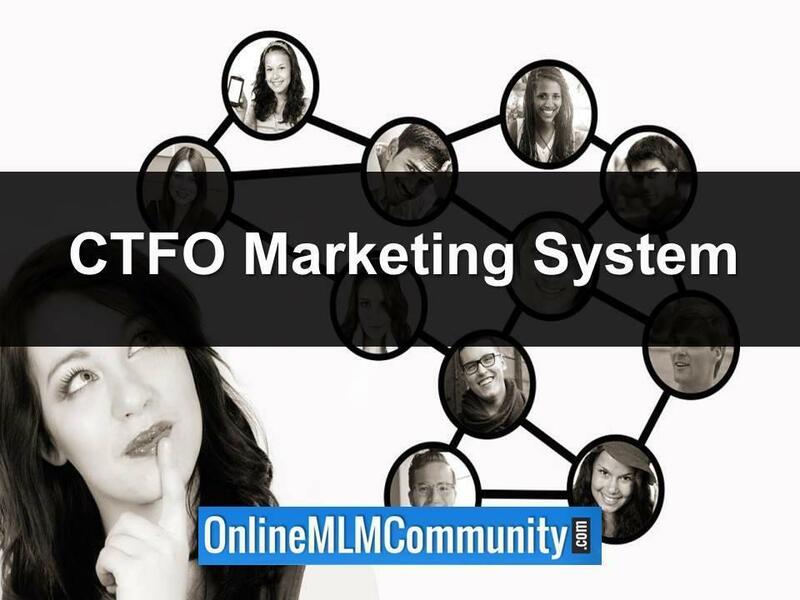 I found one big difference with CTFO in comparison to most other MLM Companies… The leaders of the company make their money by being representatives too. This goes for the Finger brothers and Michael Kahn who are all co-founders of CTFO. There are many top earners with the company. And every day, more enter the Top Earner level. Could the next one be you? I would say that CTFO easily wins this round because you spend no money at all to start a CTFO business. With Kannaway, the cost is $9.99 per month or $49.99 for 1 year. In this area, I see a draw. CTFO has a wide variety of products with CBD Oil infused in including skin care and even for pets. Kannaway has a wide variety of products too that include CBD infused shampoo, skin care and even liquid to use in vape pens. CTFO scores a knockout here. I have seen many people leaving Kannaway because the compensation plan is, in their words, disgusting. But in the words of CTFO representatives, their comp plan is the best MLM Compensation plan they have ever seen. So over all, CTFO is the champ in the CBD Oil MLM industry. If you agree or disagree, feel free to leave your view at the end of this post. I am going to do this slightly different from my other top 10 posts. You see, CTFO is well known for their products that use hemp. Yes, CBD Hemp Oil, but it is not the kind of hemp you can get high off. This hemp does not have the “high” causing substance, THC. CBD Oil has become quite popular as of late. It’s taking the MLM Industry by storm. CBD Companies are popping up left and right. I don’t see this slowing down or stopping any time soon. 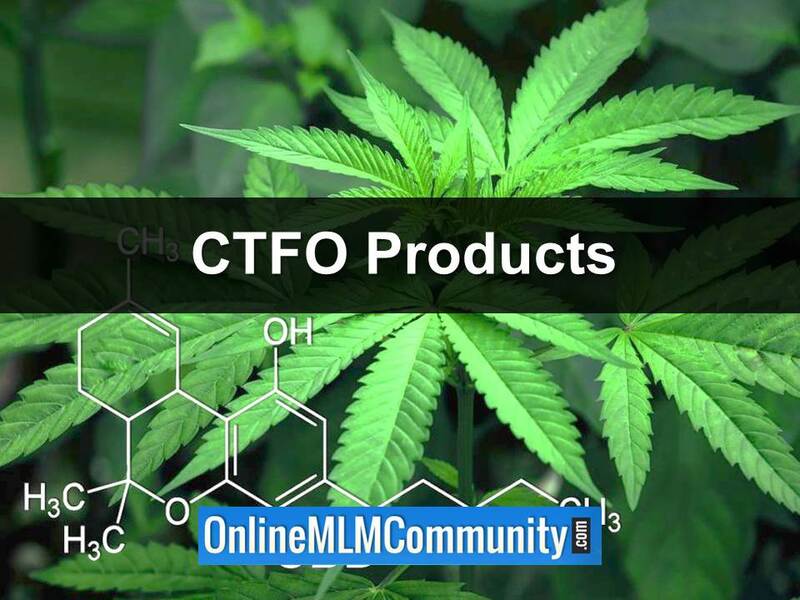 CTFO has positioned themselves for great success in the CBD market, because they got started at the right time.They already have a great market share and they’re growing by leaps and bounds every month. In the paragraphs below, I am going to give you the top 5 CTFO products that use hemp. But CTFO also has products that do not use hemp. So I will also give you the top 5 products in that line. Many pet medications have a lot of side effects and can damage your pet’s organs. These chews made with pure CBD oil have no side effects and can help treat seizures, nausea and stress. Each chew has 5mg of CBD oil. Combining the effectiveness of CBD oil with the power of Melatonin, this spray is designed to give you a peaceful, fulfilling sleep. This cream is infused with CBD oil and a proprietary blend of ingredients that hydrates and erases aging signs mike fine lines and wrinkles. It also helps minimize puffy eyes and dark circles. This analgesic uses a cold therapy system. It is infused with 100mg of CBD oil as well as menthol. Just roll it on the areas where you have deep pain and soon the pain will diminish. CBD has been shown as a supporter of healthy immune systems, blood sugar levels and many other benefits to human health and well being. You just take a couple drops under your tongue to help you overall well being. Loaded with Vitamin C, this skin serum reverses aging effects on your skin and promotes the natural production of collagen to keep your skin healthy. Using a proven blend of ingredients, this product is designed to give you thicker and fuller brows and lashes. It is a great selling CTFO product. Many have noticed an extreme difference in their lashes. This product utilizes a blend of apple stem cells and avocado oil to provide an excellent cream that erases signs of aging. Skin becomes brighter, tighter and younger looking. This cherry flavored snack bite helps you defeat hunger pangs and also provides needed energy. By chewing these tablets before meals, you eat less but still feel satisfied. These great tasting meal replacement shakes are what helped the founder lose his pounds. They are full of vitamins and minerals and come in 2 flavors: chocolate or original. They are gluten free and are one of the most popular CTFO products. Here are a few quick facts about the CTFO compensation plan. The notes you see below are from the YouTube video you are about to watch. Yes, some people actually search for this term on Google. No, I am not sure why. CTFO is not a scam. The products are legit. You can be a customer or rep. It’s free to join and the products come with a 60-day money back guarantee. There is no financial risk. And, you only get paid through the legitimate movement of products. Enough said! You can join CTFO for free. You are even eligible to earn commissions on your referrals without making a purchase yourself. Plus, you can create your free account without purchasing any products. CTFO currently has more than 30 different products to choose from to include nutritional products, pet products and personal care products. Most of their products are made with CBD, but some are not. Compared to most other CBD MLM Companies, CTFO has great prices on their products. From what I see, most of their products are in the $20 to $50 range. Some are a little bit less and others are a little bit more. When you join CTFO, you get a free website with your membership. You can share your replicated website with others and start retailing and recruiting, right from day one. This is pretty cool, because most MLM Companies charge $10 to $20 per month for a replicated website. In my humble opinion, the unilevel compensation plan is the FAIREST compensation plan in our industry. The CTFO Compensation Plan is a great deal for the part-timer. Even the little guy can win, because he gets 20% commissions on his personal referrals. To me, this is really important, since about 98% of the people in our industry are part-timers. CTFO does NOT use a binary compensation plan, which is good. That means you don’t have to worry about balancing legs or only getting paid on your weaker leg. CTFO offers a 60-day empty bottle, money back guarantee. This is very rare in the MLM Industry. This means there is absolutely ZERO RISK to try the products. Unlike most MLM Companies, CTFO does not require a forced auto-ship. Buy products whenever you want. From everything I have read online, CTFO has great customer service. People actually answer the phones and emails. They are polite and willing to help their reps and customers. Of all the different product lines in the MLM Industry, I cannot think of even ONE product line hotter than CBD. I anticipate this trend will continue for at least another five to ten years, as more people learn about CBD. If there’s one thing I learned in this great industry, it’s that you want to join the right company at the right time. CTFO is still a young company and it’s just about to hit momentum. It’s not saturated. Now is the time to get in, before it becomes a household name. 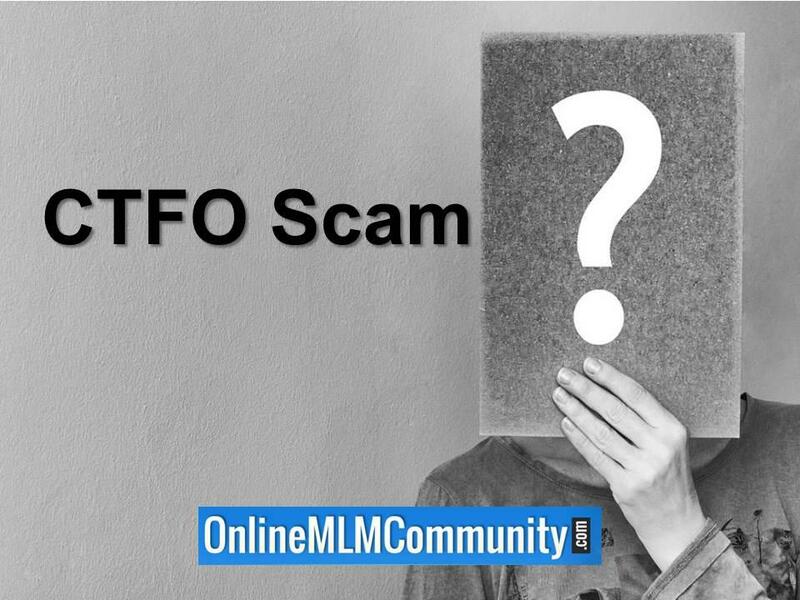 Unlike some MLM Companies that want you to invest $1,000 to $2,000 in products just to get started, CTFO does not front-load anyone or encourage people to buy starter kits. To me, this is like a breath of fresh air. If you’re looking for a CBD MLM Company to join, you might want to check out the company I work with. We offer CBD products, as well as other organic products. We offer free leads each month and have a powerful postcard marketing system. We also have a 7 level unilevel compensation plan where you can get paid on all 7 levels, right from day one. Learn more. In review, CTFO is a well designed MLM Company. They offer great products at great prices, a fair compensation plan, and perfect timing. Whether you want to be a customer, part-timer or serious business builder, they have something to offer you. What are your thoughts? Have you tried any CTFO products? Do you promote the business? If so, what has your experience been like? Leave a comment below to let me know what you think. I look forward to hearing from you.